He doesn’t look ferocious, and he’s not tawny and scrawny. What word would you use to describe this lion? While you’re thinking, color him by sight word. 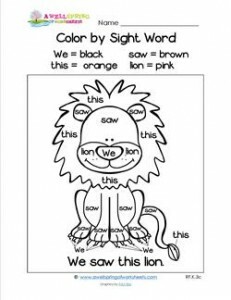 Please go to this page to see all the color by sight word worksheets in this set.